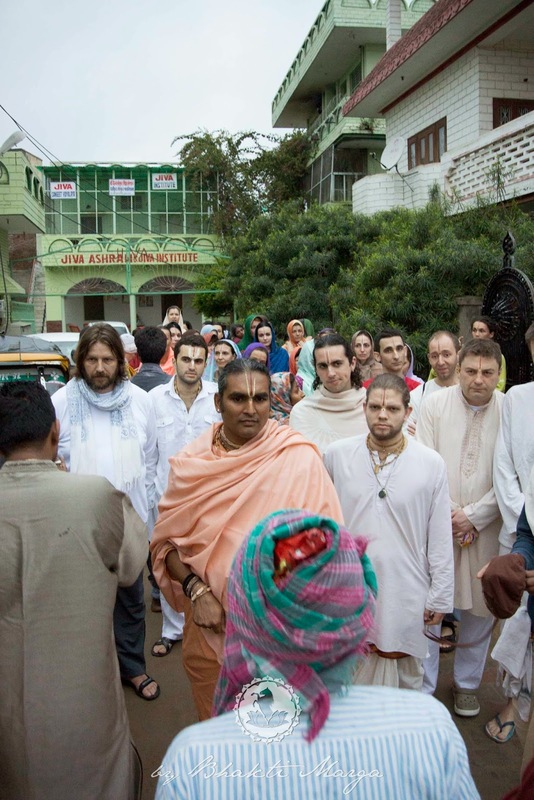 Day 1 of the pilgrimage is exactly what you can expect from a pilgrimage with Sri Swami Vishwananda: amazing, exciting, scary and at the end Divine. 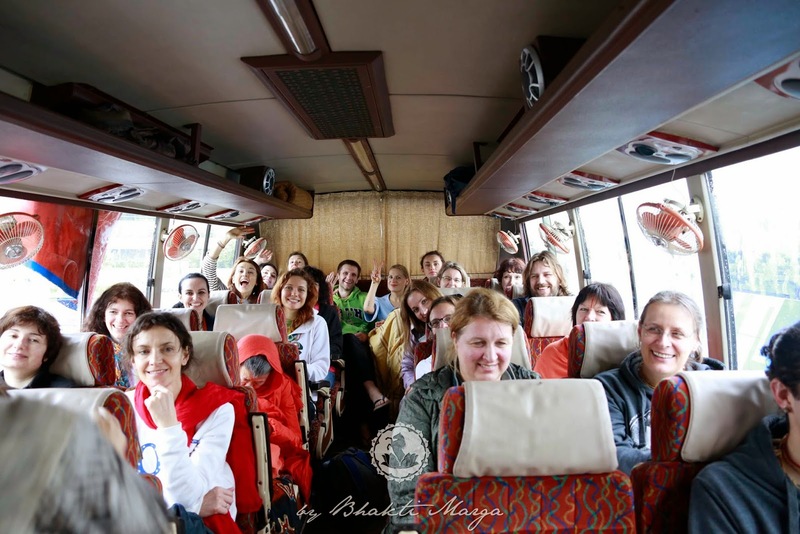 The group arrived at the Jiva Institute Ashram after a long flight from Germany. We were welcomed warmly by Babaji and the people that live at the ashram. We had a nice meal and before we could get settled in Swami gave us 30 minutes to get ready to go to our first temple. It wasn't a lot of time … but enough to throw on some old clothes and start the trip on a high note. We entered the rickshas waiting for us and we were off to the Banke Bihari Temple. The temple is arguably one of the most famous temples in Vrindavan. On the way Swami made a few comments that you can find below. "Vrindavan isn’t the way it used to be on the outside anymore .. with all of the buildings, people and traffic; however the old Vrindavan still exists. 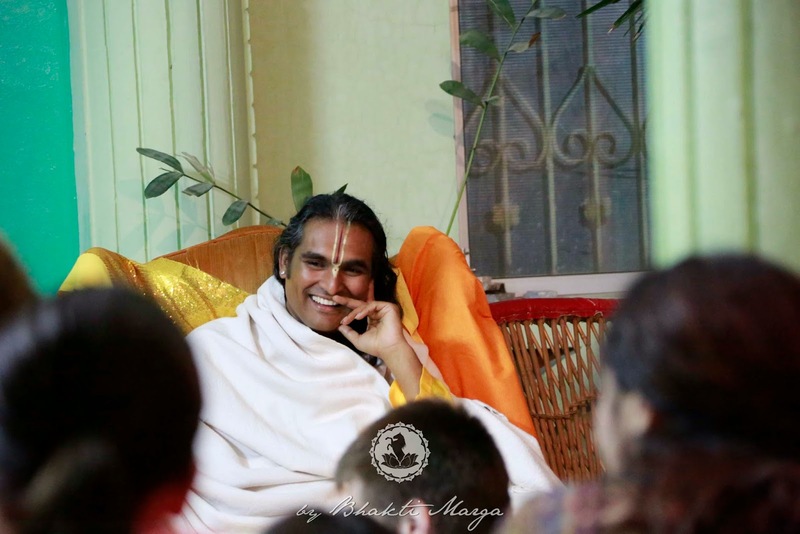 If one has the eyes to see it they can see the old roads that Krishna walked on, the places he had his “leelas” and it is exactly how it was 5,000 years ago." 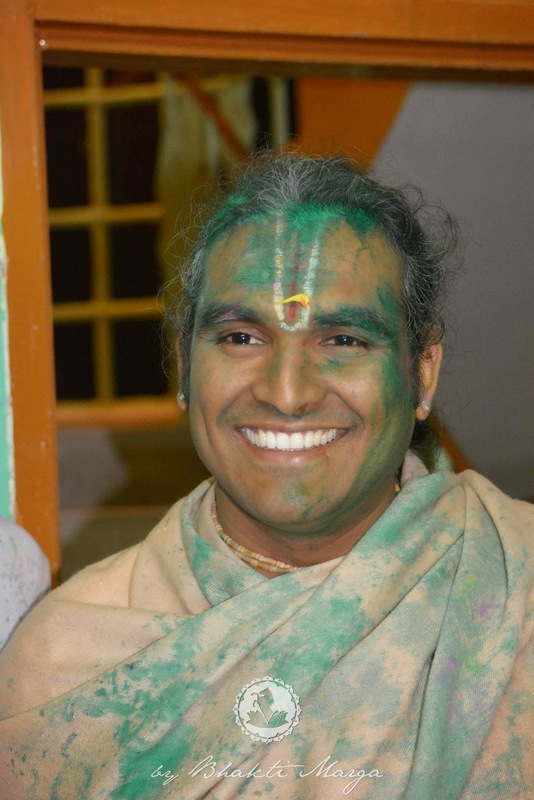 The great thing about traveling with a Master is that through His Grace he takes us through the old roads that Krishna would walk on and the places he would perform his leelas, and even if we don’t see it with our eyes, our soul rejoices in getting the Darshan of these places. We went to Banke Bihari on Ekadasi. It is a very auspicious time because this day is dedicated to Narayan. 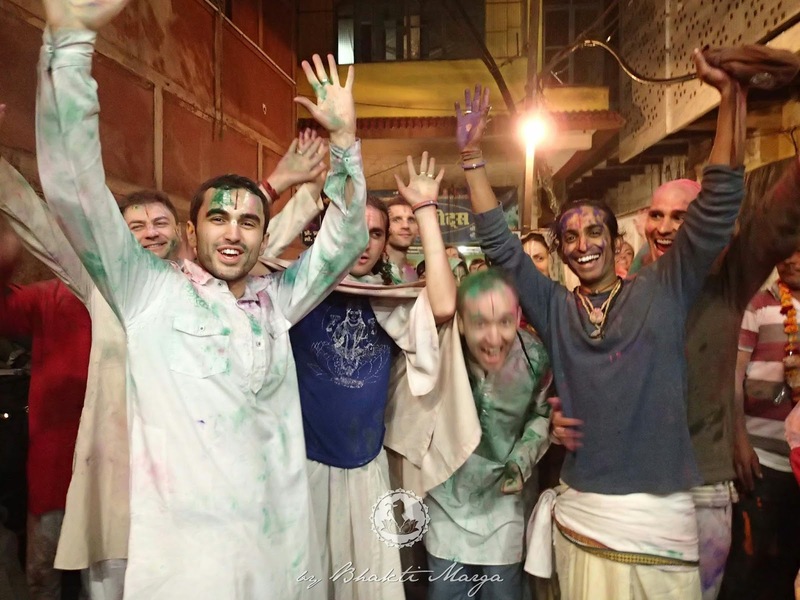 People come from all over to visit Banke Bihari on this day, and to have the opportunity to venerate Him on such a holy day is a great blessing for everyone on the pilgrimage. The visit of the temple was nothing short of amazing. It was wild, people pushing from all sides, colours and water being thrown at everything and everyone. But at the same time completely beautiful because we knew that Swami was protecting us the whole time, and no matter how crazy it got everyone met back together and nobody got lost. Tomorrow we will be visiting many famous temples, and I’m sure Swami has some exciting “leelas” planned for us well….